Jan 12, 2018 in "Epcot International Festival of the Arts"
The 2018 Epcot International Festival of the Arts is now officially underway at Walt Disney World. The festival this year runs January 12 through February 19 2018, and takes place daily. 13 Food Studios can be found around World Showcase, open daily from 11am to 9pm. See the Food Studio kiosks, menus and pricing. 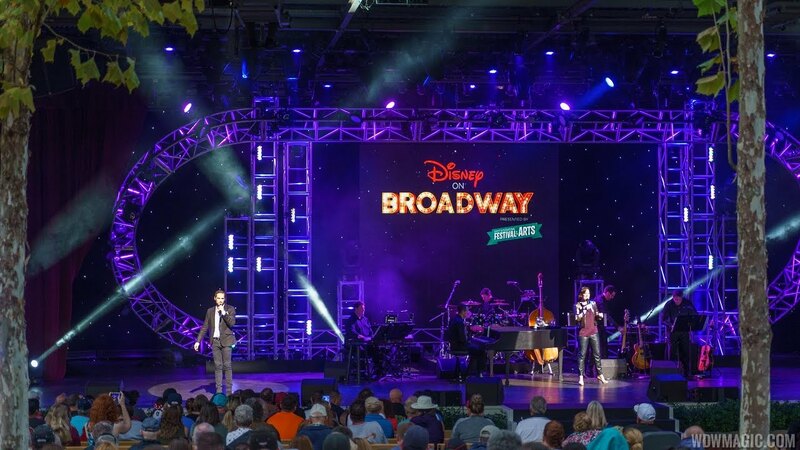 The Disney on Broadway Concert Series returns to America Gardens Theatre Fridays through Mondays throughout the festival. Catch new and returning Disney on Broadway stars nightly with shows at 5:30pm, 6:45pm and 8pm. And look out throughout the park for visiting artists, seminars and more. Click the gallery for a look around the 2018 Epcot International Festival of the Arts. More from "Epcot International Festival of the Arts"